It is said that necessity is the mother of all inventions. On some days I have my act together, I have a menu plan that I follow to the tee and feel pretty proud of how I have executed it at the end of the meal. However, on some other days my plans go for a toss and I end up sourcing ingredients just before I begin prepping up my meal. Today was one such day. I had to rush out for an early morning errand and prepped up the mince meat pie that I was making for lunch that day. The mushrooms were supposed to go into the pie but of course I totally forgot to add them. When I got back home I realised that they were sitting inside the fridge waiting to be summoned. 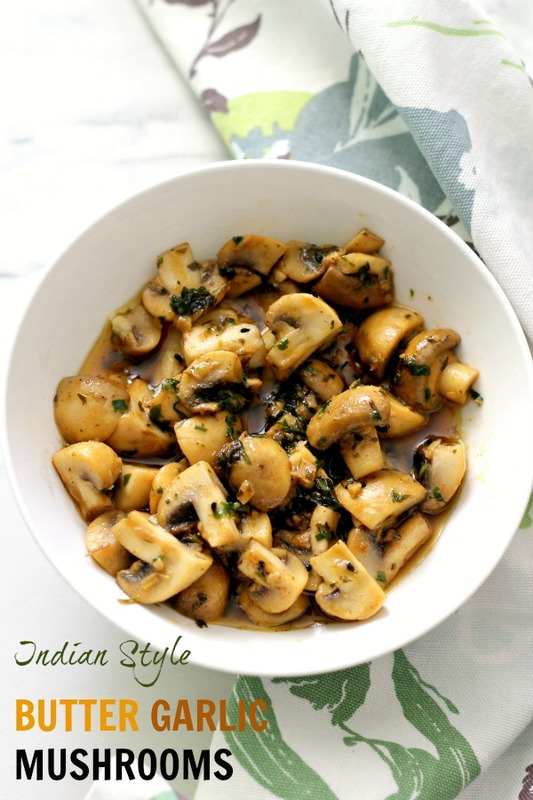 Time was ticking away and I had to think fast and serve them along with the pie and so I decided to go with the flavours of the pie and created an Indian version of the famous butter garlic mushrooms. Well it all began when I couldn’t spot the bottle of oregano in the special condiments section of my pantry. All I could see was the bottle of kalonji that also known as the Nigella seeds which I very rarely use as a topping for dinner rolls or a part of the tempering for aloo baingan (potato & eggplant sauteed together in spices). 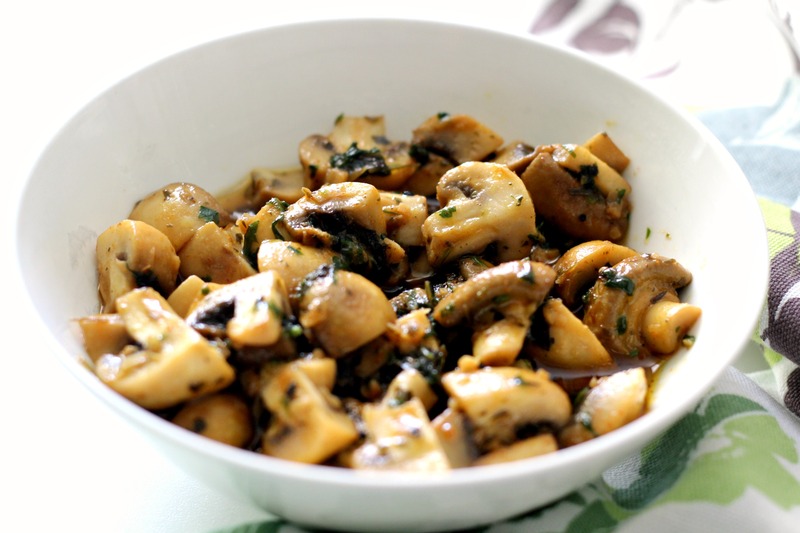 Today I decided to flavour the mushrooms with a hint of kalonji and tossed them in the hot melted butter sizzling with the chopped garlic. For an Indian twist, besides the chilli powder & turmeric I threw in some dried fenugreek leaves (kasuri methi) for those slightly bitter undertones and finished it with some chaat masala & lime juice for an extra tang. 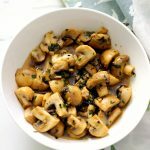 I must say that the mushrooms tasted very different than their usual sauteed avataar and the hubs loved them and so did I! 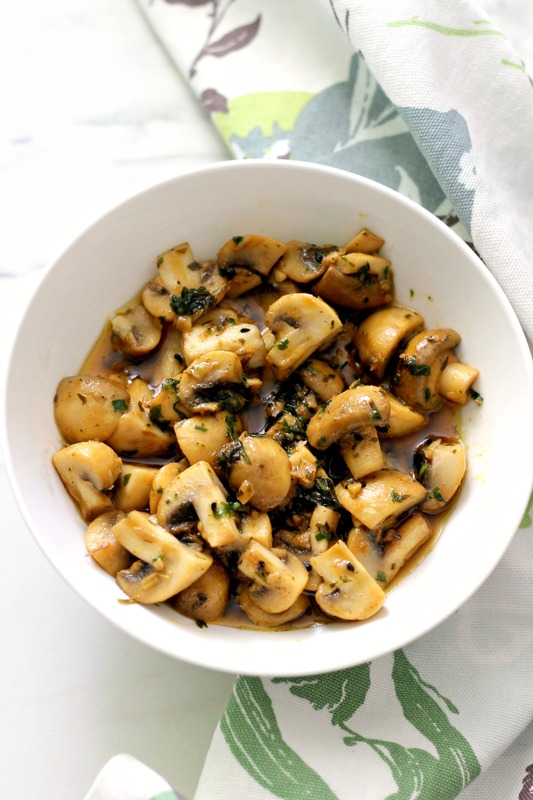 So here’s presenting my very own invention, the Indian Style Butter Garlic Mushrooms – a recipe that was born out of the sheer necessity to serve some veggies on the side of a minced meat pie. I hope you enjoy them too! Heat the butter and oil together in a pan on a medium low heat. Adding the oil will prevent the butter from burning quickly. Add the nigella seeds and let them sizzle. Then add the chopped garlic and fry for a couple of seconds followed by the chopped coriander and kasuri methi. Reduce the heat and fry them for a few seconds. 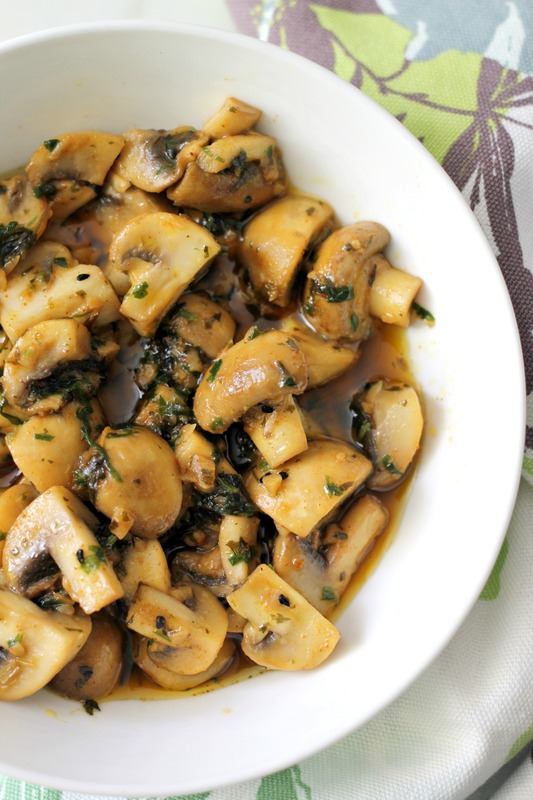 Add the mushrooms and fry them on a high heat. Sprinkle salt to taste and continue to stir fry till they soften and begin to release some of their juices.